For those buyers wishing to buy Maryland real estate or in any other state, lenders are much more strict. I have a buyer interested in purchasing Laurel real estate. He and his wife have written a contract on a beautiful home in the Laurel Md community of Stone Lake. Stone Lake is a gated community of luxury town homes and detached homes. The subdivision was built around a former quarry that is filled in with water. This former quarry makes a beautiful lake. The buyers are well qualified to buy the home they have a contract on. They have great credit scores, plenty of cash reserves and enough income. Loan application was made, home inspection and appraisal done. Everything was moving along smoothly on the purchase of their new Laurel real estate. In a normal market, we would be able to settle on time with few troubles. But this is not a normal market. The lender began asking for additional paperwork. Even paperwork that seemed to not be necessary for a loan. The buyer sent in bank statements, but did not include the back pages of the bank statement. Often the back pages of bank statements contain nothing but filler-still they are required to get your loan. Needless to say the buyers became upset and all this additional paperwork and questions. I say, “don’t get upset”, this is the market we are in. If you buy a home in this market, and there are many good reasons to do just that, be prepared to be supplying your lender with information almost up to the day of settlement. Don’t get upset, just do it. This is only a temporary discomfort, well worth the price. 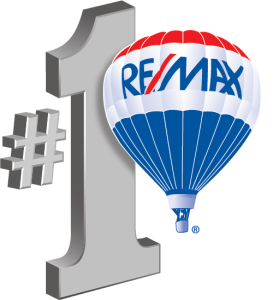 Of course, make sure you have a great Maryland realtor like me to help make the process as painless as possible. If you or someone you know are considering buying a Maryland home, visit Maryland real estate to get started. « Maryland Real Estate Press Release Cont.